A GRIP ON SPORTS • One night it is 1-0, the next 16-1. The common denominator: The Mariners didn't win. At home. With a decent crowd at Safeco Field. Read on. • There was a doubleheader of sorts in Sodo yesterday. A triple-header, actually. 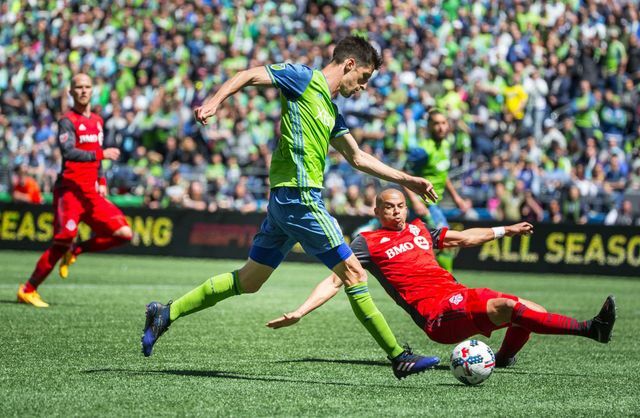 The Sounders hosted Real Salt Lake in the afternoon and won 1-0. A crowd of 40,588 took in the match. 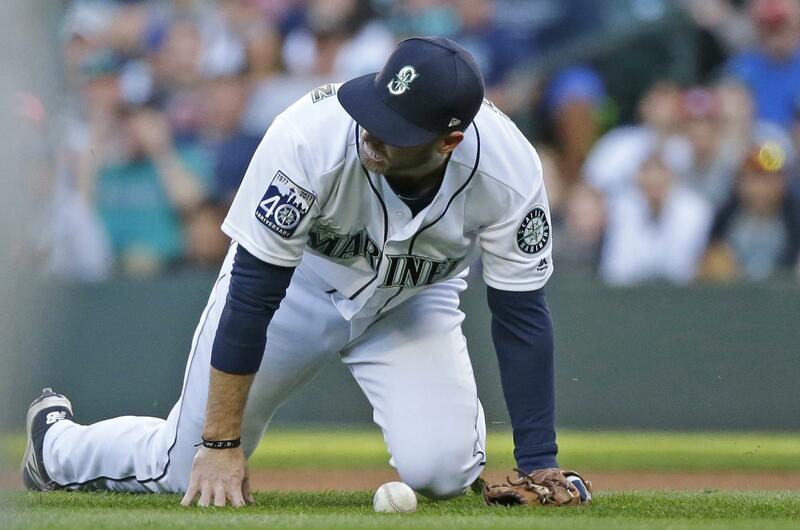 The Mariners hosted the Chicago White Sox later in the evening and lost, 16-1. A crowd of 33,801 took in the mismatch. And 20,000 Jay Buhner bobblehead dolls hit the street, shiny head and all. No word yet if they are talking dolls, like Chatty Cathy back in the day. But even they might have been struck speechless when utility infielder Mike Freeman finished up the rout on the bump, actually throwing better than some relief pitchers the Mariners have used this season. When the day was done, the M's had sunk back into the American League West cellar. May is beginning to wind down and the outlook for June, July, August and September is starting to look bleak. There is hope, of course, if you are the hoping type. Sooner or later the starting pitchers should regain their health. The injured position players will return. And some semblance of order will be regained. But you have to ask yourself this simple question: Were the Mariners, are the Mariners, built well enough to spot everyone else in the American League 10 games or so, and still make the postseason? • So there won't be another Triple Crown winner this year. Cloud Computing pulled the Preakness upset, meaning the Belmont will be just another race. Remember the good old days, back in 2015, when American Pharoah won all three races? Seems like so long ago, doesn't it? What's surprising is, over the course of horse racing history, the Triple Crown winners seemed to have come in bunches. There were three in the 1930s, four in the 1940s and three in the 1970s. So, after broke the decades-long streak two years ago, horse racing folks hoped there would be a couple more quickly. It doesn't look as if it will happen. • After losing two of three at home to Saint Mary's at the end of April, the Gonzaga baseball team was up against it. The Bulldogs needed to be perfect down the WCC stretch to have any chance of winning the regular season title. So they were. Or nearly so. They took two of three from Loyola-Marymount, enough to make a final weekend series at home against BYU meaningful. Win all three against the Cougars and win the conference crown. Yesterday Gonzaga won 6-2. The Bulldogs swept the series. They won the title. WSU: ESPN will air an E:60 special on Ryan Leaf tonight. Jacob Thorpe tells you what to expect in this story. … The Cougars will try to ruin Oregon State's try for a Pac-12 baseball record today. … Around the conference, California may have picked up a quarterback for the future. … Arizona State is going to have a huge video board after its stadium remodel is finished. … A former Oregon running back is moving up the road. Gonzaga: Walk-on guard Dustin Triano, who recently walked at Gonzaga's graduation ceremony, will transfer and play one more season of basketball. … Whitney Ogden was at Gonzaga yesterday for the series-, and regular-season-clinching win. She has this story. NIC: The Cardinals were bounced out of the NWAC softball tournament yesterday. Empire: The Arizona Rattlers are winning. And now they are starting to attract a crowd. Preps: It was a big Saturday at the track regionals in Richland, with Lewis and Clark's girls and Ferris' boys winning titles. Greg Lee has the coverage. … Central Valley's soccer team moved into the state 4A semifinals again, this time with a 7-1 rout of Camas. Jim Allen was at SFCC and has this story. … We can also offer roundups of results from Idaho softball – the 5A tournament was postponed until today – and baseball and Washington baseball and softball. Seahawks: Michael Bennett isn't the most mature fellow in the world. … More answers from the Times' Bob Condotta. … A sad note. Friday, sports columnist Dave Boling was let go by the News Tribune. Dave worked at the S-R for years before heading across the mountains. He will be missed. Mariners: Usually we add the links to the Mariners Log. But with John Blanchette's column available today, I'm not sure there was a Log available. So we put the links here. And by the way, John's column is worth reading – all the way to the final sentence. … There wasn't much hope after the White Sox put up a four spot on Yovani Gallardo in the first inning. But who knew it would end with Freeman pitching? … Edwin Diaz may be back soon in the closer role. He looked good Friday night. … With so many players hurt, the M's are continually dipping into the minor leagues for pitchers. … Danny Valencia sat out Saturday. … The schedule gets tougher the next week. … Everyone has to try the grasshoppers. Well, not everyone. Sounders: Seattle needed a win. The Sounders were at home, the crowd was loud and they should dominate Real Salt Lake. They won, 1-0, but it wasn't dominating. At least not on the scoreboard. Published: May 21, 2017, 7:58 a.m.